Travel nurses work everywhere. Big cities, small towns, and everywhere in between. 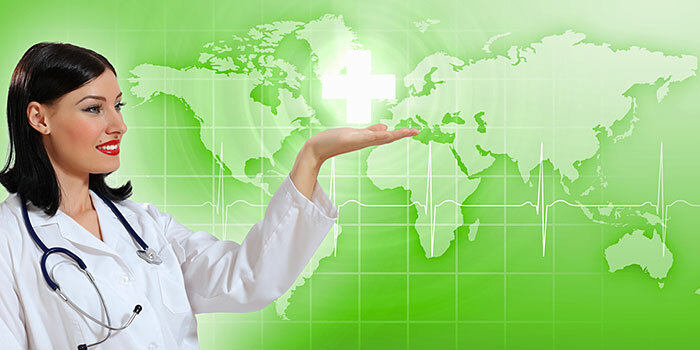 Hospitals and health facilities employ travel nurses for a variety of reasons. A few of the primary ones include challenges keeping skilled nurses based on the facility’s location, covering known temporary leaves of absence, seasonal population increases (like when snowbirds flock to Arizona or Florida in the winter), and a lack of qualified nurses in the area. These employers contract with travel nurse agencies to temporarily fill open positions. So your first step in becoming a nurse who travels is to talk to an agency. One of the perks of working with a travel company is you’ll never have to look through open job postings; the trained staffing professionals at these businesses handle that for you! You will, however, get to choose where you want to go – or at least create a list of places you hope to be assigned. The agency will keep you up to date about openings in your preferred locations as well as other positions that might be a good fit. From there, it’s up to you! When you choose an assignment, expect to live there anywhere from one to three months (don’t worry, you’ll likely know how long you’ll be there before you leave). You may even have the opportunity to work internationally for a year! Travel nurses are generally paid well because they are in demand. But beyond pay, be sure to ask your contacts at the travel agency about other benefits. Many agencies offer perks such as health benefits, retirement plans, housing costs, per diem stipends, and travel reimbursement. Also, remember to ask if any assignments come with bonuses. The job may not be in the location you want, but the right financial padding may be enough to change your mind. As you know, your RN license is typically for a particular state. As a travel nurse, this is something to think about as you agree to assignments. A compact RN license may be a good option. This type of certification allows you to work in many states without applying for a state-specific license – your recruiter can provide more information about compact licensure. If you don’t get a compact RN license, then make sure you plan enough time before the start of your assignment to apply for that state’s license before your start date. As a travel nurse, you’ll have the opportunity to experience different types of specialties and learn new skills all of the time. That’s why people who love learning are often happy and successful in this line of work. Having the right education credentials helps too. More employers are looking for nurses of all kinds to have their bachelor’s degree in nursing, and that includes travel nurses. If you have an associate degree or nurse diploma, consider enrolling in an RN-BSN program to help you get the degree you need.